Just remembered: here’s a page with the verses for the Resurrection eggs, so you don’t have to retype. Just print out and cut them up. We Vicar’s wives need all the time-saving help we can get. We’ll be getting our older two to find the verses in the bible – it’s good practice! My Resurrection Egg outers arrived from Baker Ross yesterday. 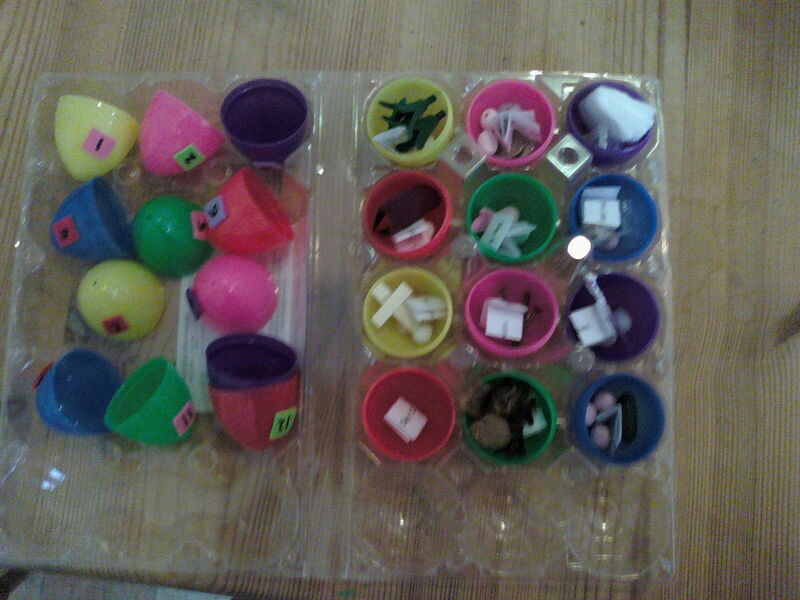 So whilst the Vicar took the kids swimming, I assembled the egg box with bible verses and visual aids. 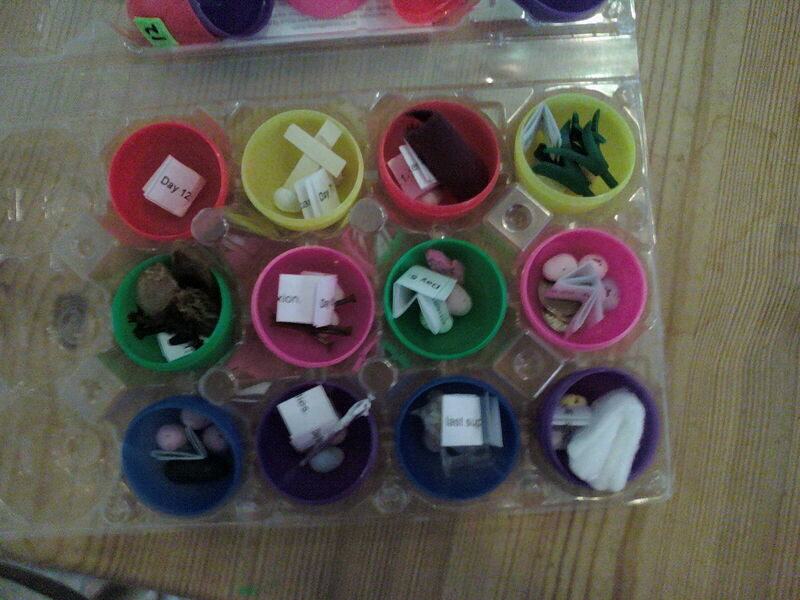 I also managed to fit three mini-eggs into each egg which I thought might encourage the kids as they go through the box. Not in the last one, though, as it’s meant to be empty, like the tomb. I plan to have other treats on hand to celebrate the last Resurrection Egg when we get that far. So here’s a couple of rather poor photos, taken on my phone cos I couldn’t locate my camera, so you can see what they look like. In the end, we didn’t open the first one after swimming, because the Queen stayed so long gassing in the ladies’ changing room (and the Vicar couldn’t go and fetch her, obviously) that they were very late home. She had to run straight out to the Kids’ Club Easter Party as soon as she’d eaten her tea, so the Resurrection Eggs will be a holiday activity – term finishes today – hooray! I’m looking forward so much to starting this tonight. 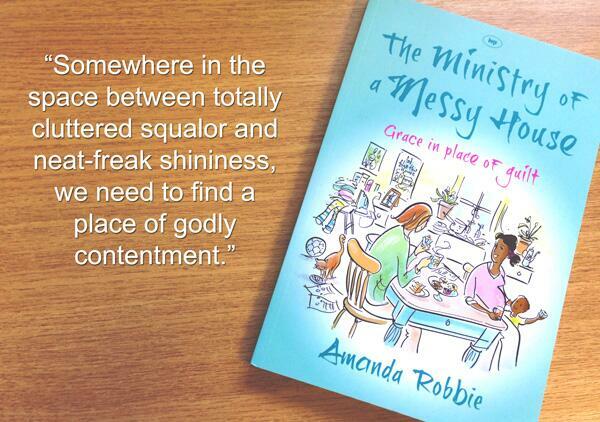 I get the Seeds Family Worship newsletter and they linked me to this month’s free download. It’s from my favourite Seeds cd, Seeds of Courage. Go listen and then badger your local Christian music shop to start stocking the cds. In the meantime, Tim V-B (see his comment at the bottom of the page) has a box of the cds available. Inspired by Happy, the Vicar’s Apprentice, whose mother has an Easter tree, and Nicole at 168hrs, I have sent off to Baker Ross for plastic eggs and am planning a burst of Easter celebration in the Vicarage over the next few days. The idea of Resurrection Eggs is a little like the Jesse Tree we have during Advent. 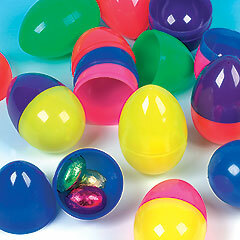 A dozen plastic eggs each contain a small item to remind us of different stages in the Easter story. The plan is to read the bible verses and remember the Easter story together each day. I’ll take a photo once I have it all assembled. Day 1: Matthew 26:6-13. Jesus anointed at Bethany. Cottonwool ball soaked in perfume. Day 2: Matthew 26: 14-16. Judas agrees to betray Jesus. 5p pieces for the silver. Day 3: Matthew 21:1-11. The triumphal entry. Day 4: Matthew 26:26-29. The last supper. Day 5: Luke 22:39-46, 54a. Gethsemane. Praying hands or pipecleaner man. Day 6: John 19:1-7. Jesus sentenced to death. Day 7: John 19:16-17. Jesus carries his cross. Day 8: John 19:18. The crucifixion. Day 9: John 19:33-35. Jesus dies. Day 10: Matthew 27: 57-60. Jesus placed in the tomb. Day 11: Mark 16:1-3. The women go to anoint the body. Day 12: John 20:1-8. The empty tomb. And nothing in the egg! I’m going to put together a pdf file of the references to pop in the eggs and the bible readings and I’ll blog those later in the week. We’ll obviously be starting a bit later than we should if we want to open the empty egg on Easter Day, but as a two week Easter holiday is looming, I’m happy to be telling the story both before and after the big weekend. Now I just need to track down an empty egg carton and those Playmobil pieces. Do you have any good Easter traditions? Grey suit – check, cheerful round face – check, widow’s peak – check, trendy black glasses – check. How am I to choose? I was in Sainsbury’s earlier today, stocking up on Vicarage essentials (own-brand weetabix, apples, Cif spray, pinot grigio etc). As I was queuing to pay out the surprisingly vast quantity of money, I heard two check-out assistants asking elderly couples if they were collecting schools vouchers. The vouchers are collected by schools, scout and guide groups and kids’ sports clubs and can be used to buy sports, cooking, gardening and play equipment. Neither couple wanted them. And I was a bit far away to shout out ‘No, no, keep them for me!’ It made me sad, though – these people didn’t know anyone they could give the vouchers to. They are part of a society where the old and the young don’t know one another. This is one thing the church does well and I am grateful that we have church family where my children know folk in their 70s and 80s. Church is where older folk come and make cups of tea for mums at the toddler group and help out in the creche and where society’s trend towards isolation and individualism is rejected. I shouldn’t have shouted out ‘Give me the vouchers’, I should have said ‘ Get yourselves to church’ instead. So the policeman comes up to me. He says ‘what were you doing between 6 and 11? I said ‘I was in primary school’.